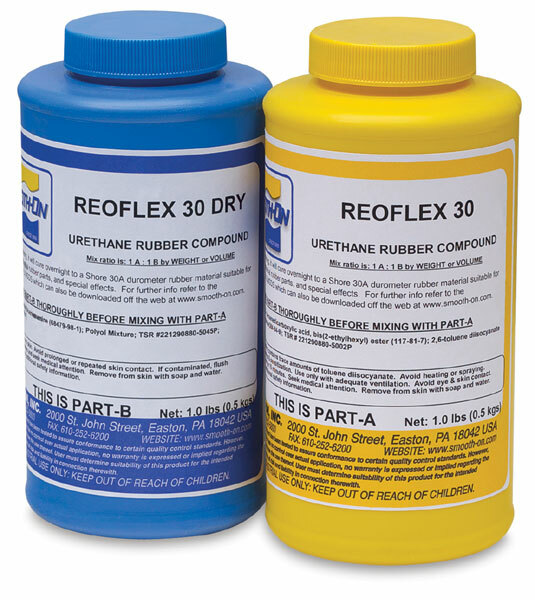 Smooth-On Reoflex 30 is an easy-to-use urethane rubber that provides outstanding detail down to a fingerprint. Reoflex 30 handles a variety of applications, including making molds to reproduce sculpture and architectural elements and for making special effects, toys, and prototypes. It meets the stringent demands of production casting of wax, plasters, concrete, and resins. Smooth-On Reoflex 30 can be color tinted. 1:1 mix by volume.